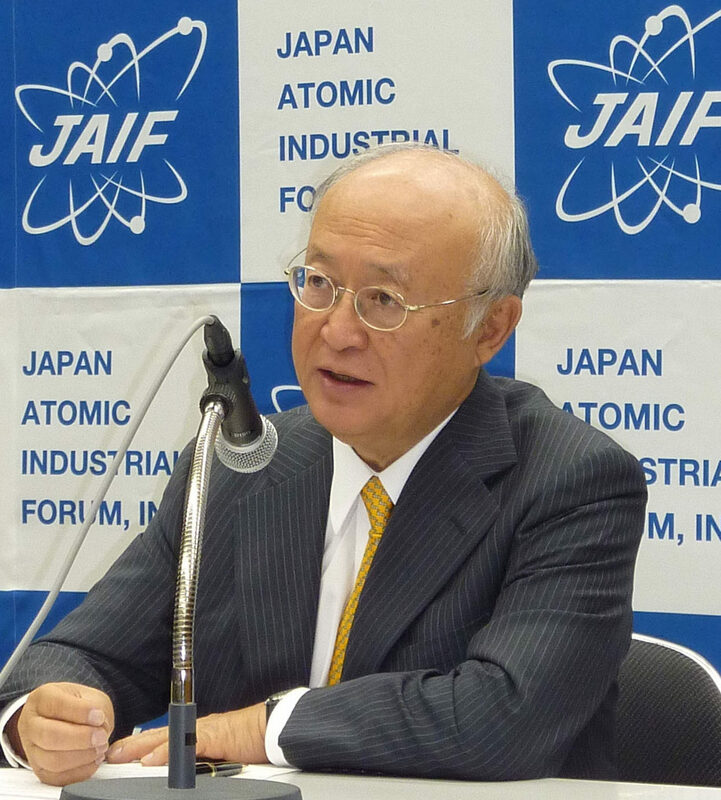 International Atomic Energy Agency chief Yukiya Amano has called for international cooperation in the decommissioning of the crippled Fukushima No. 1 nuclear complex. While reiterating his agency’s support for dealing with the Fukushima plant, he said getting the international community to work together will serve as a good “reference” in the event other countries carry out their own decommissioning work. 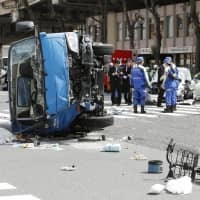 The Fukushima crisis, the world’s worst nuclear disaster since the 1986 Chernobyl disaster, resulted in meltdowns at three reactors after a powerful earthquake and tsunami on March 11, 2011. 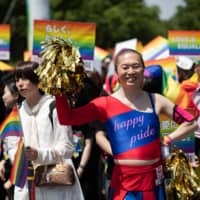 Decommissioning the crippled reactors is expected to take 30 to 40 years and the total cost has been estimated by the Japan Center for Economic Research, a private think tank, at ¥11 trillion ($98.9 billion), while a government panel estimated the total cost at ¥8 trillion. 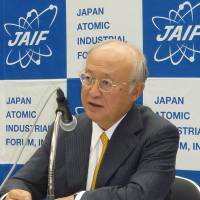 Amano also expressed concern over the threat to regional security posed by North Korea’s repeated nuclear tests and missile launches, saying the IAEA was ready to immediately send inspectors to North Korea, even for a brief period. In 2009, North Korea kicked out the IAEA’s monitoring staff from its Yongbyon nuclear facility. Last year alone, North Korea conducted two nuclear tests and test-fired more than 20 ballistic missiles.